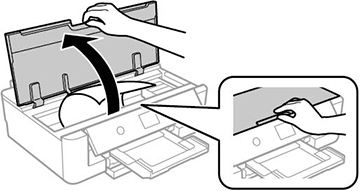 If you see a message that paper has jammed inside the product, follow the steps here or on the LCD screen to clear the jam. 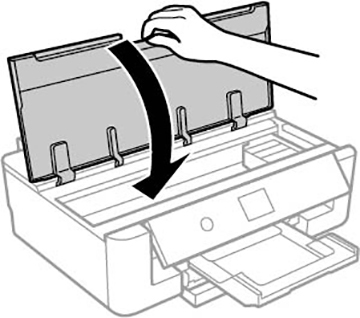 Open the printer cover and remove any jammed paper inside. 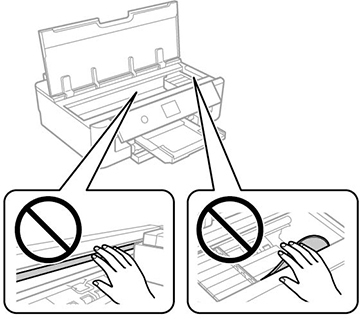 Do not touch the flat white cable or the metal bar inside your product.